Meet Amanda, she will be my new studio assistant for the summer. Amanda is an art and psychology double major at UCLA. I met her many years ago when her Mother interviewed me for Content Magazine. I am so excited about having some help in the studio. 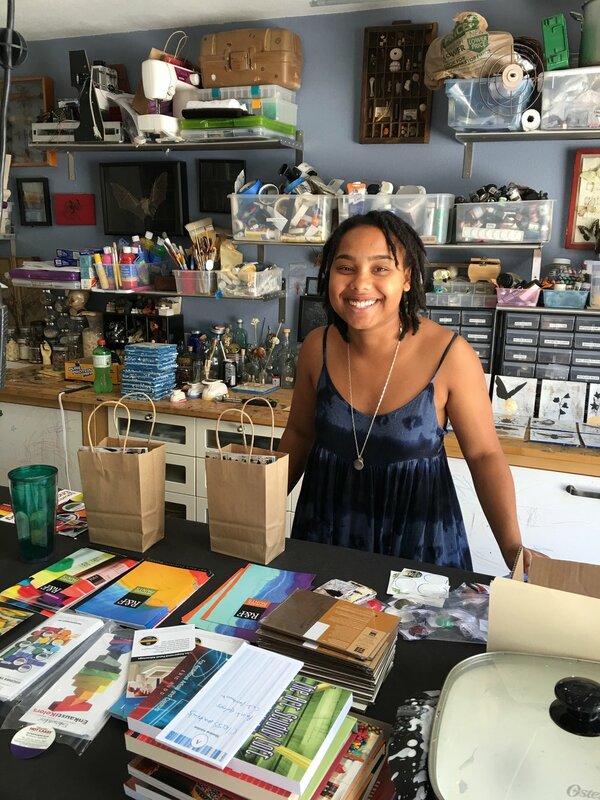 Amanda will be doing things like prepping panels, making encaustic medium, organizing, taking photos and videos, helping out in my workshops and what ever else I can think of while she is here.